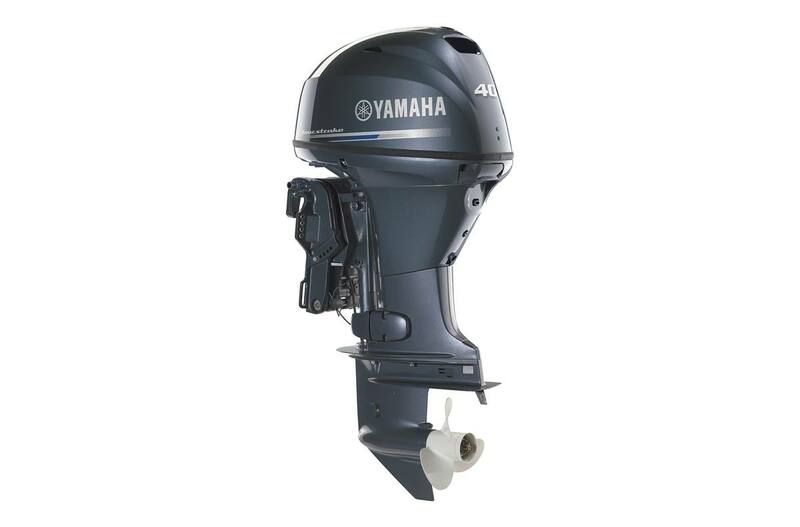 The Yamaha 40 hp and 30 hp Midrange four strokes are known for their small size and solid performance. Light and powerful, these nimble, three-cylinder wonders are perfect for light duty on skiffs, jons and inflatables and small pontoons or aluminum fishing boats. With single-overhead camshafts and electronic fuel injection, they deliver quick starts, responsive power, quiet operation and valuable efficiency. Not only that, but they’re also both compatible with our award-winning Multi-Function Tiller Handle, which allows for variable trolling and fishing flexibility. 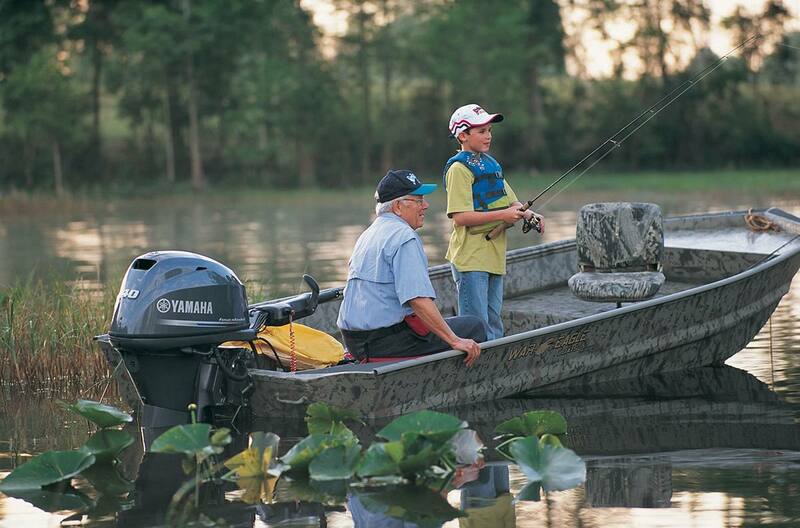 The Yamaha Midrange 40- and 30-hp four strokes. Reliable power for any small-scale, boating application. Single Overhead Camshaft: A Single Overhead Camshaft (SOHC), three-cylinder design on the F40 and F30 provides a compact, lightweight, space-saving design. Precise Throttle Control: All air entering the engine block of is routed through a single throttle valve, to ensure the precise amount of air necessary for optimum power and fuel efficiency. It then enters each cylinder through individual long intake tracks, which are 'pulse tuned' to provide air at the precise volume and timing for maximum density and power. Dependable Starting: The F40 and F30 feature a vapor-reducing fuel return system. Used in conjuction with multi-point electronic fuel injection, they offer dependable turn-key starting in hot or cold conditions. Corrosion Protection: Combined with our proprietary alloy (YDC-30), our exclusive Phaze Five™ anti-corrosive paint system provides a tough, five-layer barrier against corrosion. This protection is standard on all Yamaha Midrange four-stroke engines. Advanced Technology: The F40 and F30 are equipped with an Engine Control Module that interfaces with Yamaha Diagnostic System software. This provides a view of selected past and current running conditions, to help technicians provide a complete and accurate diagnosis of your engine. Protection from the Elements: A proven one-piece cowling with an intake air drain system easily and efficiently drains water away that enters the cowling. Incoming air is routed through a labyrinth of passages that help trap water before it enters the engine's intake for maximum reliability. Cleaner Fuel: A large, on-engine water separating fuel filter with a water sensor is used in conjunction with the Yamaha optional boat-mounted 10-Micron Water Separating Fuel Filter. This helps separate water and contaiminants from the fuel before they can reach the outboard's other filters and fuel injectors. Power Trim and Tilt: Power trim and tilt models provide a trim range of -3 up to +20 degrees. This brings the bow of the boat up, for better hole shot and top speed and a smoother ride. Our 747-cc 40-hp midrange provides powerful performance in a compact package that’s available in both propeller- and jet-pump-driven models. With its single throttle valve, long-track intake manifold and electronic control module, it delivers easy starts, fast acceleration and excellent top-end speed.